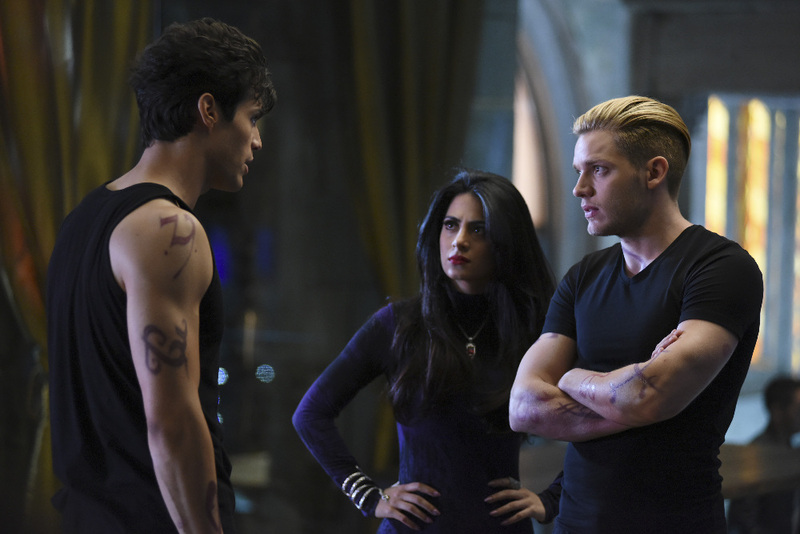 ABC Family/Freeform has released a ton of promotional photos for the ninth episode of Shadowhunters titled “Rise Up,” which airs March 8. In “Rise Up,” with the Institute on high alert, Jace, Clary and Isabelle are forced into taking drastic actions. Please!! I’ll make all my friends watch Shadowhunters to have you raise money for better CGI and better plotting. I really want this show to have another season and lately I’ve been seeing very bad comments and reviews. I for one think this show is really good, despite it’s flaws, and I (and maybe not just me) am starting to become really worried and desperate. I want this show to go on and I don’t want this to end up like the movie. This is not a negative comment and it isn’t much a positive one too. I’m just begging you to do better in the next episodes. I love this show but I do not like the flaws that much… Please don’t hate me for saying this. I just wanted it out of chest. P.S. You are very welcome to correct me for my grammar. My grammar isn’t in good shape right now… So I would be very happy if anyone could correct. P.P.S. Also I’m sorry for this sloppy first draft.